We love this hearty breakfast. Enjoy! In a saucepan, drizzle 1-2 Tablespoons of olive oil. Heat on medium and when it is warm, add onion and garlic. Sprinkle generously with salt and pepper. Saute the onion and garlic until softened. Add leftovers and zucchini. Sprinkle again generously with salt and pepper. Saute until everything starts to brown. 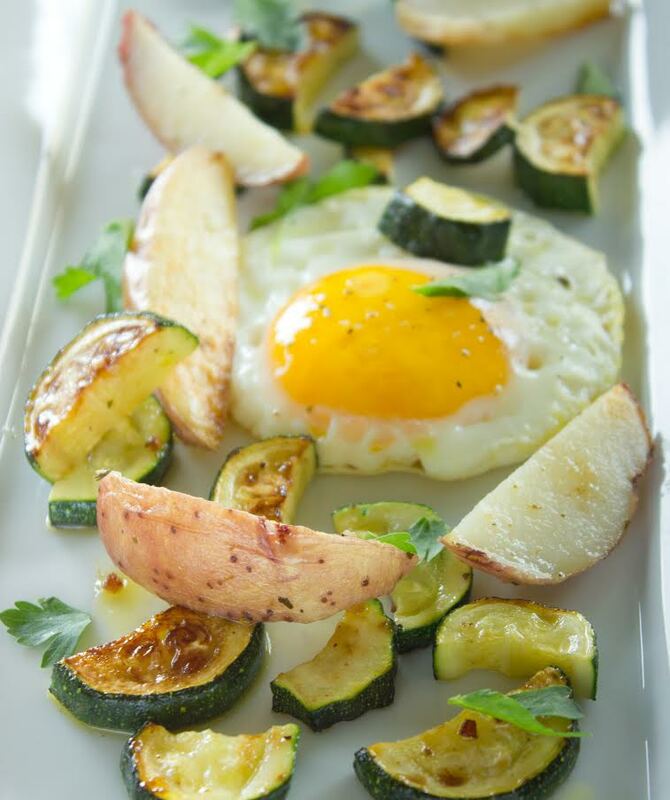 Dump the cooked veggies onto a plate then add eggs to saucepan. Cook to desired softness. Add veggies back to saucepan and heat through. Serve immediately.